Welcome to the most complete resource available for the Ruger 10/22! This book guides readers through the endless array of aftermarket parts for the Ruger 10/22. With installation instructions, performance evaluations and expert advice, this comprehensive guide leads you step-by-step through the process to modify and customize your Ruger 10/22. Complete coverage of new versions of the rifle and accessories make this most complete and up-to-date resource available to guide owners through the endless array of aftermarket parts for the Ruger 10/22. Detailed installation instructions with more than 300 detailed photos, performance evaluations and expert advice lead the reader step-by-step through the process to modify and customize the Ruger 10/22. Plus, you’ll find performance testing of the popular new Takedown Model and a 10/22M converted to .17 HMR! With installation instructions, performance evaluations and expert advice, Customize the Ruger 10/22 2nd Edition is the most comprehensive do-it-yourself guide available for upgrading and customizing America’s favorite .22. Based in Bloomington, Illinois, James E. House and Kathleen A. 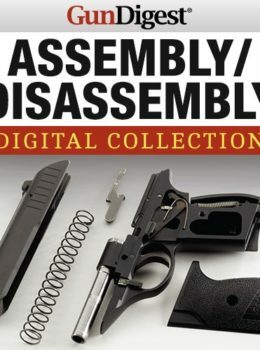 House authored the first edition of this must-have volume for 10/22 enthusiasts, as well as the Gun Digest Book of .22 Rimfire: Rifles·Pistols·Ammunition.